Sonic Bloom 2019 is an electronic music festival located at Hummingbird Ranch in Colorado. Check out a lineup of psychedelic trance, acid house, downbeat, drum and bass, dubstep and hip hop-infused electronic music! Spoonbill, Culprate, Knower, Ayla Nereo, Detox Unit, Bil Bless, Louis Cole and more are all part of the phase two lineup! Gramatik, Opiuo, Emancipator Ensemble and The New Observatory top the Sonic Bloom lineup! 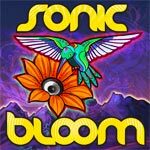 Sonic Bloom tickets are on sale! Sonic Bloom is held during the Summer Solstice at Hummingbird Ranch in Spanish Peaks Country, Colorado. You can also check out yoga classes, motivational workshops, live painting & art installations. Sonic Bloom Academy offers classes on using Ableton Live. The Sonic Bloom dates are June 20 - 23, 2019. The Sonic Bloom 2019 lineup is out and Sonic Bloom 2019 tickets are below! The Sonic Bloom lineup for 2019! Spoonbill, Culprate, Knower, Ayla Nereo, Detox Unit, Bil Bless, Louis Cole and more are all part of the phase two lineup! Who do you want in the Sonic Bloom lineup?